Want a healthy bread? A “true” sourdough bread is a great healthy bread to consume. You can read my article about all the health benefits in sourdough bread in my article A Healthy Bread That is Good For You. To make your own sourdough bread, you will need a sourdough starter. It is not hard to make a sourdough starter, it just takes a little time. 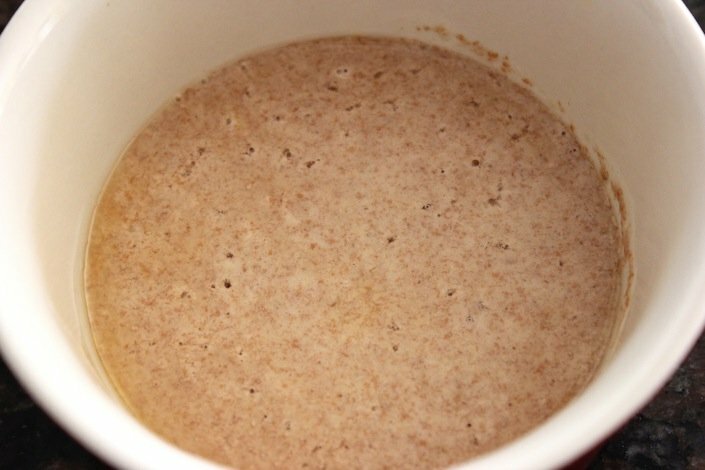 In this post, I will show you how to successfully start your own sourdough starter. Once we master the sourdough starter, I will then show you how to make your own sourdough loaf. 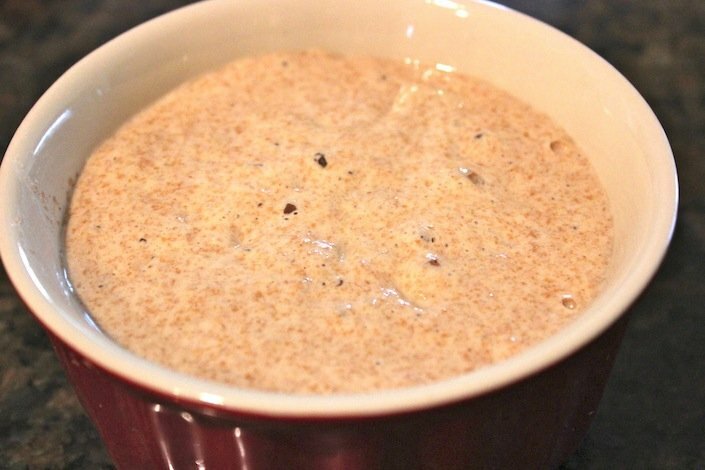 Here is what you need to start your sourdough starter. 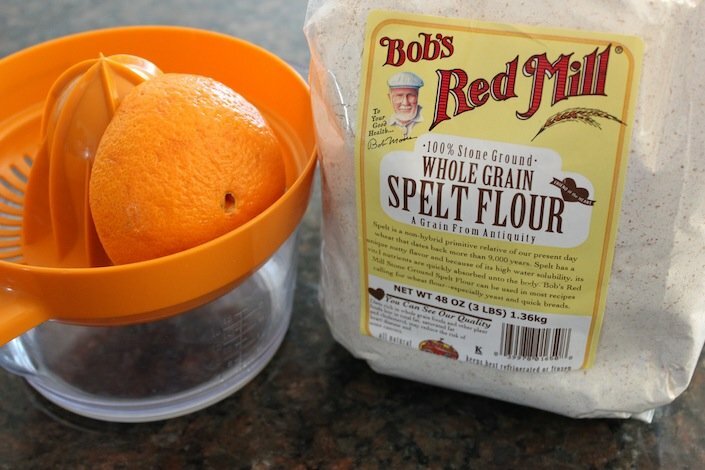 You will need some whole grain spelt flour and some fresh oranges. Fresh pineapple juice can also be used instead of fresh orange juice. 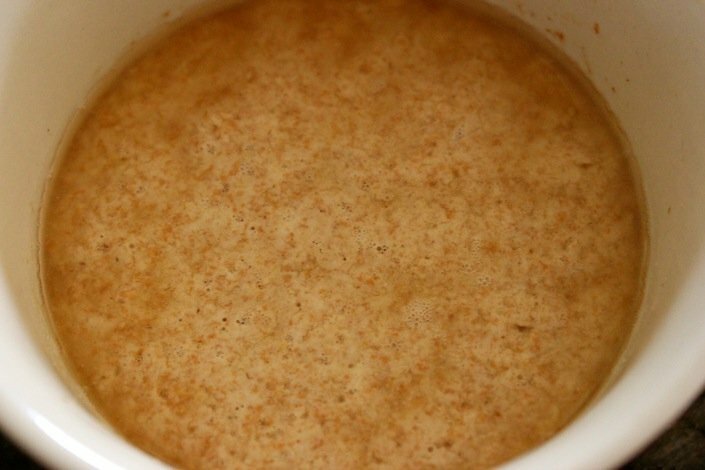 To start your sourdough starter, simply add 2 tablespoons freshly squeezed orange juice with 2 tablespoon of spelt flour. Place in a small bowl and mix well. Loosely cover it with plastic wrap and let it sit at room temperature for 24 hours. We will continue a 7-14 day feeding schedule to make your sourdough starter. Once you have your starter, you won’t have to go through this whole process again, you will just use and save some of this starter for future uses. This recipe was adapted from The Fresh Loaf website. DAY 1: Add 2 tablespoons fresh orange juice and 2 tablespoons whole grain spelt flour to a small bowl. Stir vigorously, cover loosely with plastic wrap and leave on counter for 24 hours. Here is what your starter will look like after 24 hours at room temperature. 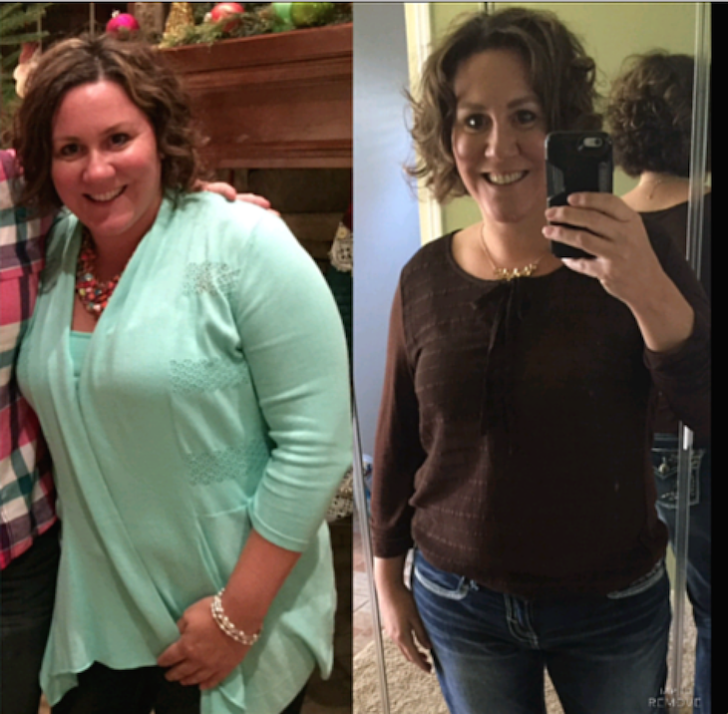 I will post a picture daily so you can see how it changes and what you are looking for. If you notice, not much has changed after day one. Day 2: Add 2 tablespoons fresh orange juice and 2 tablespoons whole grain spelt flour to your mixture. Stir vigorously, cover loosely with plastic wrap and leave on counter for 24 hours. Here is what your starter will look like after 2 days. Not much has changed after day 2 but look for changes coming real soon. Day 3: Add 2 tablespoons fresh orange juice and 2 tablespoons whole grain spelt flour to your mixture. Stir vigorously, cover loosely with plastic wrap and leave on counter for 24 hours. Here is what your starter will look like after 3 days. Notice all the bubbles starting to appear. Here is what the starter looked like after 3 days. Little change, as of now. Yours might look different by now and that is fine. Your sourdough starter will grow on its own terms. Day 4: Stir down your sourdough starter. Measure out 1/4 cup starter and discard the rest. To this starter add 1/4 cup filtered water and 1/4 cup flour. At this point you can add any flour you would like (excluding coconut flour and almond flour). I usually stick with spelt flour because it has a better result. I tried all purpose organic flour and didn’t have the best results. Stir vigorously, cover loosely with plastic wrap and leave out at room temperature. Repeat day 4. Repeat day 4 for days 4-14, (Stir down sourdough, measure out 1/4 cup and discard the rest, add 1/4 cup water and 1/4 cup flour. 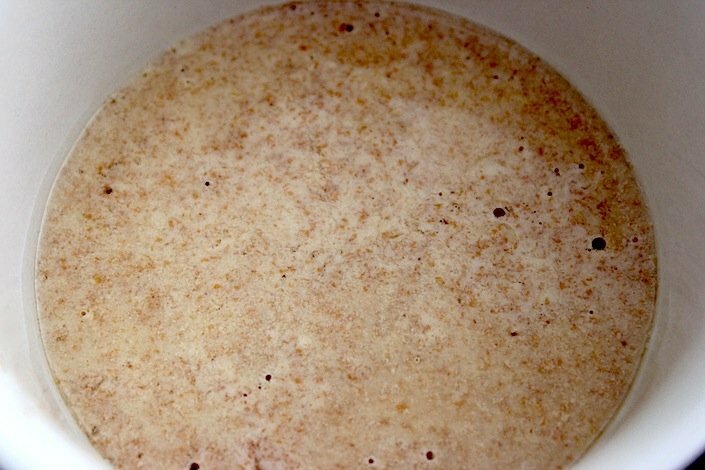 Stir vigorously and loosely cover and leave at room temperature) once daily until your sourdough starter starts to expand and smells yeasty. Your sourdough starter might become very bubbly and then go flat. That is ok. If it doesn’t become bubbly again by day 6, add 1/4 tsp of apple cider vinegar with the daily feeding. Day 6: Here is my sourdough starter on day 6 right before the feeding. You can tell it is time for a feeding because it has deflated. Notice how far it raised up by the lines on the sides of the bowl. When it falls it is ready for a feeding. I needed to feed mine about every 8-12 hours now. Day 7-14: I finally have my starter. Here is what a healthy starter looks like. Look how high it has risen. It has more than doubled in volume and it has a lot of air bubbles. I will continue to feed it (the normal feeding: 1/4 cup starter (throw out the rest), 1/4 cup water, 1/4 cup flour) and keep it at room temperature for 1 more week (a total of 2 weeks) to make a strong more favorable starter. My sourdough starter is now ready for use. At this point, you can make a fresh loaf of sourdough bread. After 2 weeks of storing and feeding your starter at room temperature, you will need to now store your sourdough starter in the refrigerator. At this point, you can feed it once a week by using the same method. At the top of the starter will be a liquid called the “hooch” and that is normal. Simply pour the hooch off and discard it and measure out your 1/4 cup starter and add to it 1/4 cup water and 1/4 cup flour. Mix together and store back in the refrigerator. When you are ready to make a loaf of bread, simply pull the starter out, pour off the hooch and give your starter a feeding (1/4 cup starter (discard the rest), 1/4 cup filtered water, 1/4 cup flour). Leave out at room temperature for 8 hours and give your starter another feeding. This might be enough to activate your starter (remember you are wanting it to almost double in size and you are wanting it to be bubbly, like champagne). If it is not bubbly then you might need to give it one more feeding. You are now ready to use your sourdough starter in your recipe. Remember to save a little for your next recipe and store it in the refrigerator. I know you all might have questions along the way. Please feel free to leave your comments below in the comment section and I will answer your questions for you. Liquid hooch picture courtesy of Bradyrevisited.com. @LoriNichollsI will be posting the bread recipe tomorrow. It is absolutely wonderful! Just wondering if you can use or give away the dough that you are going to throw away. It seems a waste and I don’t like wasting. By the way, keep up the good work, you have a fantastic website full of great recipes and other health stuff. I just came across your site while searching for recipe, so still haven’t check your other stuff as yet. Catherine how is your starter coming along? when it says to discard the rest could you do a second starter to use for pancakes with the leftovers? 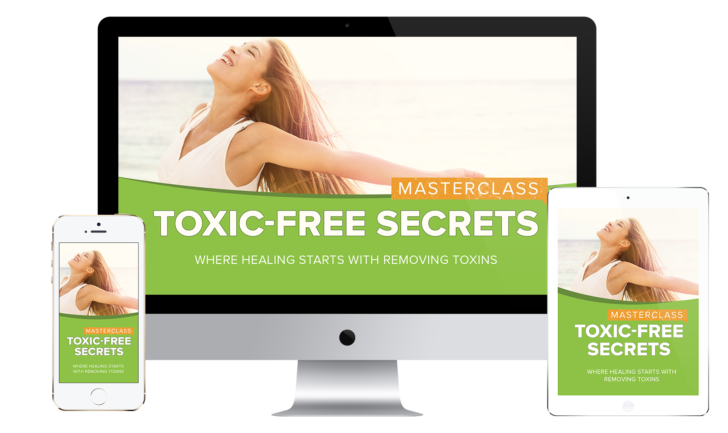 yes, but not yet…get this starter good and started and then you can do that! Right now it is not sour enough and hasn’t fermented enough. But yes by the end of this week, beginning of next you can do that. Then you would weigh that starter that you were going to throw out (use your scale)and add equal parts water and flour to that to give you the 2 cups you need. Does that make sense? Ok, Catherine How does your starter look today? @Jaclynag It sounds like your starter is doing just fine 🙂 It doubled in size, then it is active and you can start using it, but keep it at room temperature and feeding it for 1 more week to mature your starter. You won’t necessarily see the bubbles sometimes, they are in the dough, that is why it is doubling in size. You can add the vinegar, it won’t hurt anything. Around day 7 mine started to need more feedings, and I started feeding it every 8-12 hours (2x a day). Remember, this will only be for 1 more week and then you will always have this starter. If it falls like the picture in day 6, that is a sign you need to feed it. Keep us posted, sounds like you have a great starter on your hands!! Thanks so much for getting back to me. It’s a releif to hear I’m on the right path – phew! 🙂 This morning, the starter had a crusty flim over the top and had not yet deflated. I waited till mid-day to feed it but it never fell. (shrug) I have high hope after reading your reply so … we shall see how this goes. 🙂 Thanks again! @Jaclynag I set mine outside one day to help it along and it got that crunchy top from to much air/wind. I just skimmed it off and went about my day 🙂 Your starter sounds like it is doing great! If it hasn’t fallen, then it doesn’t need fed. Let your starter dictate when it needs to be fed! Either way feed it at least once a day. Please do keep us posted! Day 6 it “rose” with liquid on bottom. We are now on day 8 and see liquid on top and no indication of rising much. Your suggestions? There’s some controversy about whether spelt is safe for people with wheat allergies. I’ve not tried it yet but wondered if others with known wheat allergies have. My husband is gluten sensitive with serious gut issues. He has recently been on an elimination diet and they now want him to try spelt sourdough bread as the best healthy option for him and are confident he will tolerate the spelt fine. It is low in gluten and high in protein. I’ve just started the spelt starter, looking forward to trying this bread recipe in a couple of weeks! Some people with gluten intolerance may tolerate spelt and kamut flour better compared to other hybridized flours. Sourdough bread is typically a better bread to eat since it has a natural yeast like substance. The gluten in spelt sourdough bread is broken down and easier to digest. 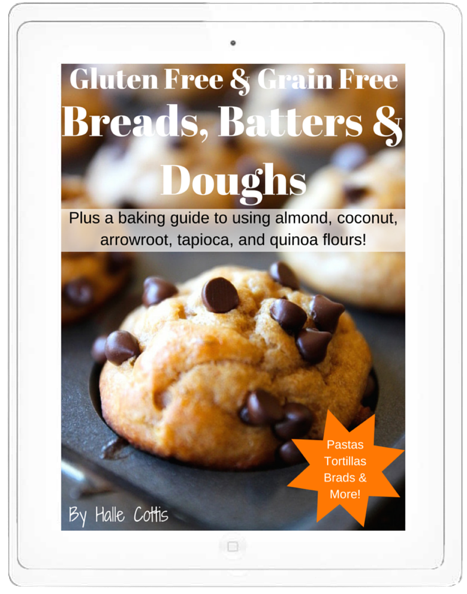 Halle, thank you so much for sharing your spelt sourdough bread starter with us! Thanks so much for this post!! I am excited to try this! Question – how much of the starter do I use to make a loaf of bread and how much do I save? @nsusie367 You use about 1/4 cup per loaf but many of the recipes out there vary. I save my sourdough starter and make pancakes with the “discarded” starter. Ok – 1/4 cup. Thanks for the great idea! Make pancakes with disgarded starter! help! I am on day 9 and my mixture has still not risen? i put cider vinegar on sunday but no luck. any suggestions? @allisonabbott Ok, try this. Preheat your oven to 200 F. As it begins to climb (when it hits 105F), turn off your oven and place your starter (with loose plastic wrap on top of jar) into oven and turn on the light. This will create a warm environment and help the bacteria to form and the bubbles should start to form. Do not open the oven door. Try this and see if it works. Take a peak after 4 hours and let me know what happens. @crazylady yes you sure can. Lime would work fine. Ok, I started the starter and so far so good- but I can’t get past the whole measuring 1/4 cup out and discarding the rest-part. I am so confused… this would render me with very little starter, most bread recipes call for 1 cup+ of starter…. And how will I have any left to “save for later” when I make my first bread with such little amount to use in the first place? Thank you very much! This is really exciting for me, I’ve never made starters before and I just want to get the most out of the quality of the ingredients and recipes I’m using. @Boboshadodo Hey Bo, I know it is a bit confusing why we throw away the starter and certainly you can keep it and use it for something else, maybe pancakes…so you are not being wasteful, but we do this to create a very strong starter. Once you have your strong starter then you will have your starter that you will feed and it quickly accumulates. So right before I make bread I oftentimes have to give the starter 2 feedings to activate it again and after the two feeding I have over 2 cups of starter. Once you add equal parts by volume of starter/water and flour…you will have plenty for the recipe as well as for leftovers for your next loaf of bread. 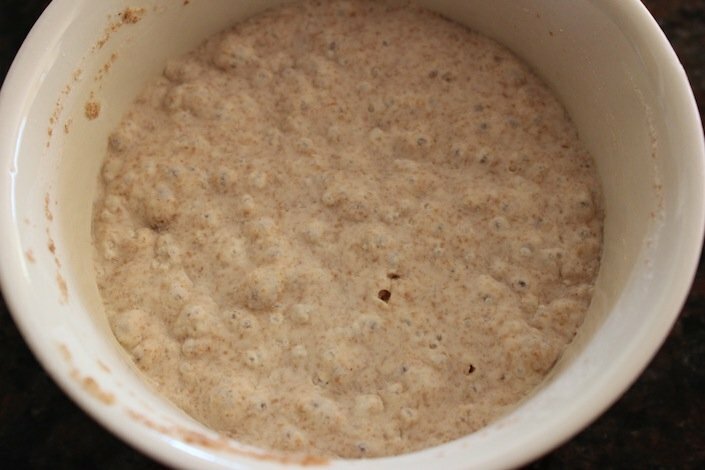 You then store the starter again (whatever you have left is fine) and say a week goes by and you are ready to make another loaf, then you simply take 1/4 cup of the leftover starter out and feed it the water and flour again until it becomes very active or bubbly. You may need to feed your starter once or twice which then gives you another 2+ cups. My recipe only calls for 1/4 cup of starter per loaf. Hope this makes sense. @hallecottis @Boboshadodo Like Bo, I am a little confused…if I take my starter out of the fridge once a week to feed, I just add the feeding to what’s already there? Or do I scoop out the 1/4 cup and then feed? Also, if I need say, 2 cups for a recipe, do I do a 2 cup feeding, or several smaller feedings? Do you always recommend a 1/4 cup ratio feeding, or is it dependent on the starter size? And should it grow as I do more feedings? I have been struggling with sourdough for 2 years yielding mediocre results and would love to make something really good with this start so I want it to work so badly. @LeahH @Boboshadodo For the starter, I recommend only 1/4 cup to create a strong starter. Once you create the strong starter then you can keep it and add equal parts water and flour to starter. It grows super fast! So when you take it out of fridge for feeding, scoop out 1/4 cup and then add equal parts water and flour to that…stir. If you need 2 cups of starter then you keep adding to your starter until you come to 2 cups. To get 2 cups you probably only need to do 1-2 feedings. It grows and gets higher in volume quickly. I am on day 8 and I do not have the bubbly pics like you have. My start seems to grow like it is supposed to. It also seems to be overly watery even though I do the 1/4.1/4.1/4 ratios. I feed it twice a day. But since I have had NO luck with starts in the past, I want to make sure this is a strong one. The stuff that I throw off is making fantastic pancakes but I’m worried about when I go to make bread….Do I need to add some apple cider vinegar? What should I do? @LeahH yep Leah, sounds like you need a little ACV. Try this. Turn your oven on to 200F. When it reaches 125, turn your oven off. Place the starter (covered loosely with plastic wrap) in the oven and close door. Turn light on. Do not open the door and take a peak after 4 hours to see if it is rising. Let me know how that works. @hallecottis Do I add the ACV first? Or not till the feeding? And can I do this before the feeding? @LeahH I would just add it with the feeding. And don’t put into oven until you give it a feeding. So feed it and add the ACV, cover loosely and put in oven. @hallecottis After the oven and the rising, it now has a watery level on the top. Do I pour it off or stir it in? @hallecottis I looks like it’s rising ok. Now the liquid on top is black. Sorry to bug you. I just have had the worst time with sourdough starts and my bread is always insanely dense and not very good and I really want to get this! I am sure you were hoping I would be on my way and no longer bugging you but that doesn’t appear to be the case. I have the worst time with sourdough – my bread does not rise well at all. I thought making this start would make a difference and my bread was about a half inch thick. Seriously. My start seems fine. When I feed it, it grows. Why does my bread turn out so dense and does not rise? 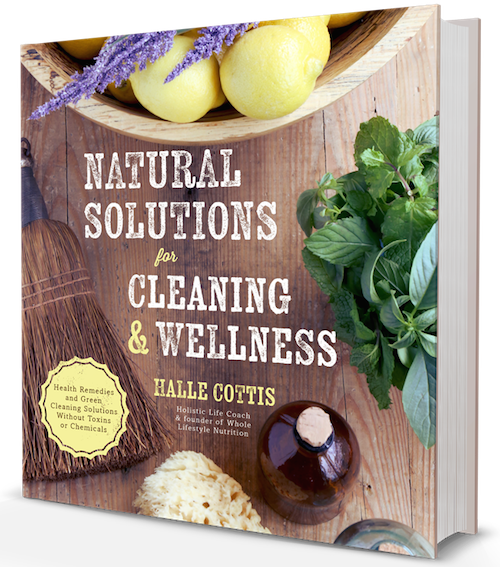 I have used a recipe from Nourishing Traditions (style, WAPF hand out) and the one from Cultures for Health. 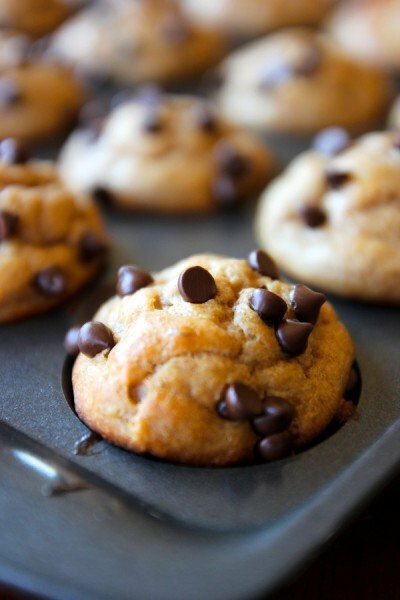 Do you recommend one to do with spelt flour? I am so frustrated! @LeahH spelt will be dense. Given your history, I would start with an all white flour recipe and then work your way to a spelt loaf. Hi there, thanks for the info, I have my own starter which is about 2 years old and I’ve had periods of outstanding success and then periods of no rise at all. So I’m wondering, maybe I lost my way, trying all new methods, could you give me the definitive timing for using starter for spelt bread (I too have been making this recipe and the one from Breadtopia, but I’ve had to add yeast the last couple of times). My starter often looks flat, with no bubbles. So could you tell me in (dumb dumb terms) what I should be doining to my starter before I make bread. 1. I take it out of the fridge and I feed it. What is the definitive sign that it’s ready to add to the bread mix? And if I don’t have that sign then what do I do? 2. Assuming I’ve got the above right, what time of night do I put it all together? And what time of morning do I slip it into the forming mold? 3. And this is where I always strike trouble, how long should it take to rise in the mold to the point that I should bake it? Usually I’m finding I wait like 4 hours with little to no rise, so I add yeast. This seems like a long time to me and I’d really rather not add yeast. Any help anyone could offer would be most appreciated, my timing is all out, sometimes my bread rises and falls in the night, and seems to have no life left. For me, it’s all about having no rise. @ashlee Hi ashlee, here are the answers to your questions. 1. your starter needs to be super bubbly and active. If it is not then you will have a dense loaf. Keep feeding your starter until you have a bubbly starter. 2. I start mine around 7 pm the night before and then at 3PM the next day it is ready to continue and you will have a perfect loaf for dinner. See instructions inhttps://wholelifestylenutrition.com/recipes/how-to-make-a-real-sourdough-spelt-loaf/ to see when to put it in the form. 3. A sourdough loaf needs 18-19 hours to rise plus 1 1/2 hour right before baking. Again, refer to https://wholelifestylenutrition.com/recipes/how-to-make-a-real-sourdough-spelt-loaf/t to learn more. Hi, I will need a loaf only every 2-3 weeks , do I still need to feed the starter once every week? StephanieSal nope, just pull it out the day before and give it one feeding before you goto bed and then another feeding in the morning and let it get good and bubbly. I am on day twelve and my starter is doing nothing and flat as a pancake. I have been feeding it twice a day for a while, I have tried the apple cider vinegar, and even tried putting it in the warm oven like you suggested, and still nothing. It seemed to work at first and bubbled here and there, but it never grew or really looked like it was any different. I followed all the steps exactly, not sure what I did wrong? Is there any hope for my starter or do I have to start over? Amy Bowen Amy it sounds like you might have to start this over 🙁 Not sure what happened, but make sure dishes are clean of residue and try again. I am sorry this didn’t work. How warm is it in your area? I am on day 7 of my second attempt and and it’s not looking good, I have know idea what I am doing wrong? Mine never gets to the point where it’s really bubbly like your pictures, even after adding apple cider vinager and it doesn’t expand or rise either. I don’t want to give up, but I also don’t want to keep feeding it if it’s never going to do anything. When you first start, do you squeeze fresh oj everyday or do you squeeze enough for a few days and keep in the fridge? I made enough for 3 days and kept in the fridge but I don’t know if it makes a difference if it’s cold or not? Also, used a ceramic bowl and a wire whisk to mix this time, it doesn’t ruin it to use stainless steel, does it? It’s been in the 80s where I live right now and the temp in my house usually ranges from 70-75 degrees. I used organic whole grain spelt flour from the bulk section at whole foods. Any thoughts at why this is not working for me? 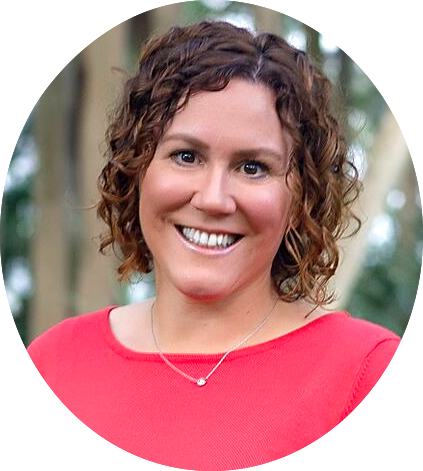 Amy Bowen I do not recommend using stainless steel. Use only ceramic and wooden utensil. This will effect the final product. Also you should be fine to squeeze your juice and feed as you go. I am trying to make the starter like your directions indicate and it starts off great till your day 6, where your picture is all nice and bubbly, mine is not. I discarded the first round as it didn’t do very much at all and am now on my second round but it seems to be going the same way. I second time round I definitely had more bubbles in the beginning and then by day 7, it was barely bubbling. I have added the acv and done the oven idea but it doesn’t respond like you indicate you should. I am using a glass bowl and a metal teaspoon. Does this affect it? I really want this to work but don’t really know what I am doing wrong. Help please, any suggestions would be greatly appreciated! ok, I have a question. I am a neophyte to baking bread and I am jumping into the pool with both feet by wanting to strictly use spelt flour. my question concerns the daily feeding for 14 days. In 12 days, i will be gone for the weekend and wonder if all my work will be for naught if I leave it in the fridge while Im gone and not tend to it. Do I need to wait until I am home for two straight weeks before I start this project?? as I live in GA and its summer. I draw out 1/4 C starter each day and add the flour and water to a clean container. Stir and cover loosely. Whats wrong? I even do it at the same time each day. Any advice?? wendyearwood doesn’t sound like your doing anything wrong. Try using a fork to stir, and lift and fold kind of like you would be scrambling an egg for breakfast. This should add some air into your batter. I am from GA so I know how humid it is this time of year so you should be fine with the heat. Are you “loosely” covering it? 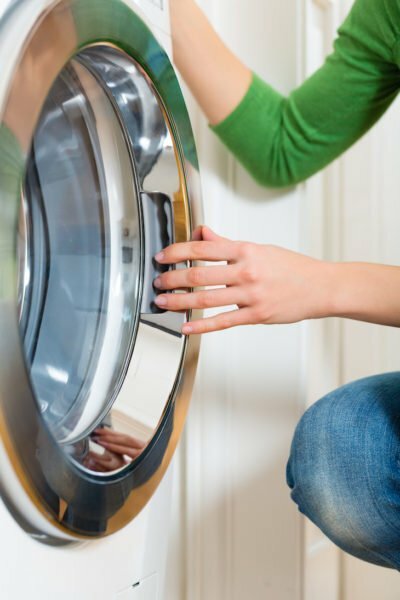 Do not do it tight, it needs the beneficial bacteria that is in the air to grow and thrive. Try this and let me know how it goes. im sure someone asked this but there are too many comments to read through!- could i make this using white spelt? also, could i use white spelt for your “real” sourdough spelt loaf recipe? thanks! This is my first try at a starter. So, for clarification, do I start adding 1/4 cup flour, 1/4 coup water to the ORIGINAL starter on days 7-14? Or, on day 7, do I take 1/4 cup of the starter (if nice and bubbly) and add 1/4 cup water and 1/4 cup flour each day through day 14, at which time I should have a viable starter? Assuming, of course, it looks like your picture. Your second option is correct:on day 7, do I take 1/4 cup of the starter (if nice and bubbly) and add 1/4 cup water and 1/4 cup flour each day through day 14, at which time I should have a viable starter? Assuming, of course, it looks like your picture. Hello! Quick question.. When you say in the last step,”leave out at room temperature for 8 hours then give it another feeding”, do you then leave it for another 8 hours? In other words, when I’m ready to make bread and I feed it and let it sit for 8 hours, I then feed it again and then when can I take out my 1/4c to start my dough? Thanks! When you are ready to bake the bread it should be good and bubbly. Hello again! I am on Day 6 and I’m not sure my starter has ever risen.. when I check it, it usually has a lot of tiny bubbles and some of the water seems to have separated to the top. Is that normal? I just fed it again and added the ACV, but i’m not sure if I need to start over or not. When I fed it, there was a lot of water at the top and minimal bubbles..
Why is it necessary to just keep 1/4 cup and keep discarding the rest? Could what u discard b used to make bread????? 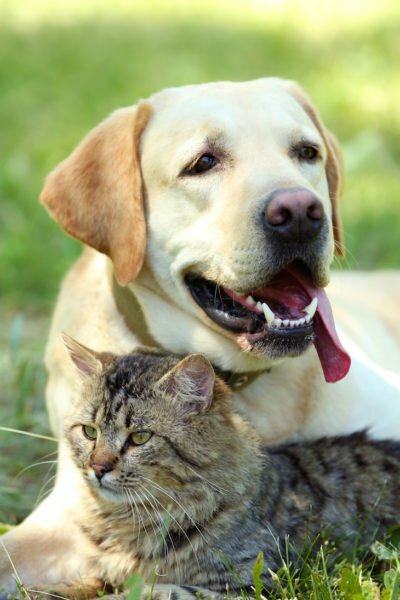 You doing a great job with this site and I will like to thank you ! I read that you can use any flour but you said spelt flour works better for you. I guess I should rephrase my question, would the sprouted flour work just as well? Thanks! Hi and thanks for your article. Can I ask what is the purpose of fresh OJ as opposed to water? Cheers, Nataliya. Alright, I’m on day 4, and my starter does NOT smell good — it’s more of a “food going bad” moldy smell than a yeasty smell of something I’d want to eat. Yuck. Also, it separates very quickly into liquid and solid parts. I’m using a glass jar and a wooden spoon to stir: everything was clean as far as I know. Any ideas on having it not go bad? Was using pulpy orange juice a bad idea — should I try cider vinegar or water and honey or another liquid? 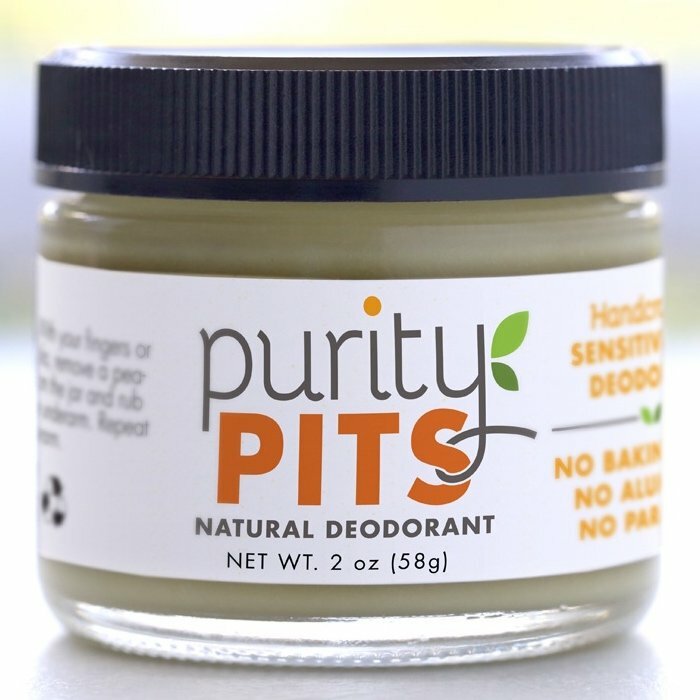 It shouldn’t smell bad. I’d toss it and make sure you are using fresh juice from the oranges. Tossed it, for sure. I was using fresh-squeezed juice, absolutely. Any alternate juice ideas? Hi, would sprouted spelt flour work just as well as regular spelt flour? Or will I need to test this out myself? Thanks! Sprouted spelt should work just fine. the most complicated sourdough starter recipe I’ve ever encountered. I believe it would discourage all but the most dedicated ocd’d bread lover. A friend who is a pro traditional sourdough baker has a family heirloom crockery bread bowl. The bowl is so alive with yeasts from decades of daily bread making that they simply put in the warm water swish it around and go. Ancestors carried their little sack of sourdough starter in some warm body crevice during their transplantation to new homes. In severely cold climes that is where it was stored to retain viability. I agree 25 years on that the older the starter the better the product. Are you looking for a spelt loaf? I have two recipes for you. Here is a spelt sourdough loaf: https://wholelifestylenutrition.com/recipes/how-to-make-a-real-sourdough-spelt-loaf/ and here is a super easy sourdough bread made with white bread flour: https://wholelifestylenutrition.com/recipes/traditional-san-francisco-sourdough-bread-recipe/ Both are very detailed recipes so you shouldn’t run into any issues. Good luck! Sadly, I have to agree with Da. After day ten of grooming and petting and trying ALL of the above I tossed this lousy attempt of a starter and started over again. I’m trying Da’s method now because it seems to be a lot easier and if I fail again, it wasn’t such a big deal. Question: After feeding your starter for two weeks, do you continue to feed it for one more week? I was confused on that part. You can put it in the fridge after 2 weeks and then feed it at least once a week from that point. Hi. I would like to try sourdough. I have some gastro problems and burning mouth syndrome and I try not to eat gluten. Can I use quinoa flour or bean flour to make the sourdough bread? I thought spelt had gluten in it. Pease try to answer my question because I am very limited as to what kind of bread I can eat and would like to try the sourdough. I have a series of posts coming out this week that will tackle all of this. Quinoa and bean flours would not work. You need the gluten for bread but when you ferment the dough, a lot of the proteins that make people gluten intolerant are broken down and many can eat sourdough for this reason. Can I use boiled water instead of filtered as I dont have a water filter? I am pretty sure the boiled water will still have fluoride and that will react with the growth of your starter. Try it with what you have first. My guess is that you will eventually have to start over though…but worth a try to see if it works with existing starter first. Hi there, I hope you’re still at this, I have a question I can’t find an answer to. My starter is just bubbling along beautifully. Looks good, smells good. My concern is that I’m feeding it twice a day now, (day 11) and although everything is going great, it doubles in size every time, but only falls a small amount. I’ve left it overnight and again, I can see on the sides of the bowl it has only barely fallen about an eighth of an inch or so. Can I fix this? This is a great sign that your starter is ready for use! You can reduce the feeding to 1x a day and it will fall again. This sounds like a completely healthy starter! Great job! Oops, meant to say thanks so much!!! TOh holy cow, Halle! Serious? It hasn’t doubled in size though for sure, maybe only half as much. I had my husband double check with me this morning again. Bubbles like mad, raises up about half on one, a quarter on the other. (I’m definitely a type A so I needed two to be sure one would work! This morning I put a bit of ACV in the one that only rose a quarter. They are in the oven with the light on because I’m in Canada and we are at or below 70 degrees in the house for the most part of the day. ) Is that still ok? And when you say ready, are we talking I can move to your second blog post and make bread? If so, why down to one feeding a day? Still on the counter? Am I not supposed to put it in the fridge then and look for “hooch”? You are a gem for responding, and I’m so thrilled this might actually work! Hi Halle! 3 posts in 3hours. Must be a record. So here’s my update. After putting them in the oven all last night, I fed them this morning and put them back in. Yay! Success and they both definitely doubled before they fell this time. It didn’t take very long to fall, only a couple of hours, but I’m going to leave them until tonight to refeed. My two weeks ends on Tuesday (in two days) so I guess I should continue with the two feelings, continue with them in the oven with the light on, and then after the feeding Tuesday morning I’ll start actually trying to make a loaf and put the starter in the fridge? Start the weekly thing then, Or should I start now? Shakin in my boots, but really excited!! I’m going to try one plain spelt, one with some oat flour in it and then hopefully figure out how to make it in loaf pans for sandwich bread. That is my end goal. Any tips you have, I’ll take! You are my hero and many thanks!! A question please. What temperature is “room temperature”? My winter house is between 65-67 until June. Even cooler at night. 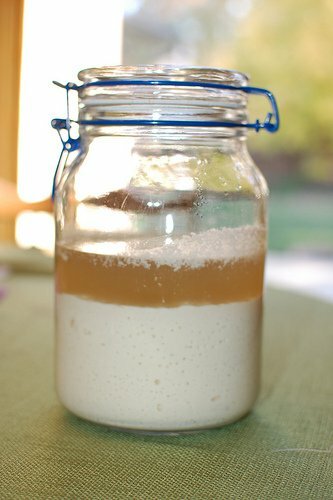 What temps are needed to make sourdough starter and proofing sourdough bread? Thanks! Hi Kris, I am an expert, but at making many trial and errors before I finally got it, phew! So our house is between 65 at night and 70 during the day. That is just fine! Don’t do what I did!! A: put it in my warming drawer on the lowest setting or B: put it in the oven with the light on. (Did that as well) Too hot for it. It’s just fine to have it be cool, it will just take longer till you need to feed it. Mine didn’t do the rise and fall successfully for a month, and really only after I started keeping it in the fridge as I only bake once a week. Now it’s strong and I’m relieved! Today is day 4 and my starter on the top kitchen shelf is (before 1st feeding) bubbly! Yay. (lime juice & whole grain spelt) I’m so excited! Do you have to wait the 2 weeks for bread making or can you use it after the first week? If your starter is good and bubbly you can give it a whirl. I like to feed it for 2 weeks to make sure there are plenty of beneficial bacteria in the starter. It is best to use filtered water to keep the starter alive. Just once on the ACV. Hi. I’ve made this starter and it’s doing fine after some adjustment, but there is something I would like to comment. In the recipe, you use volumes for the amount of flour and water. 1/4 cup starter, 1/4 cup water, 1/4 cup flour. The problem with this is that the weight is different. The starter and water might have approximately the same weight, but the flour is lighter. My flour is about 50% lighter than the water. This means that if you mix 1/4 cup starter/water/flour, it will have a hydration of 200%, which makes it too runny and it won’t rise as well. It will also drop off more water every day. With the wholemeal spelt I use, I need 1/2 cup of flour to match the 60g of water in 1/4 cup. This gives the starter a nice fluffy consistency and it doesn’t leave a lot of water between feedings. Thanks so much for sharing this Phil! Hi: I don’t understand why you recommend using plastic wrap, even if loosely, over the top. If we want the wild yeasts and bacteria from the air to ferment and raise the starter, wouldn’t cheesecloth be better? Surely our ancestors merely covered their starters, which rose on their counters, with a thin piece of cloth. Isn’t the point of the natural fermentation process that the souring and yeast activity come from what’s in the air? Or are you purposely trying to slow the process down, so only a bit of those bacteria and yeasts access the starter? Does the slower process make a stronger starter? I’m curious. The reason for the plastic wrap is so that the starter does not dry out or get a thin film on top. 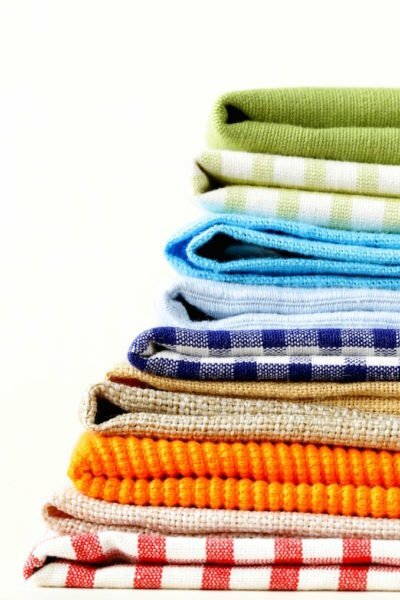 You certainly can use a towel or cheesecloth with great results. I don’t think a slower process makes a stronger starter, but it will make a more sour starter, which is a taste that most desire when it comes to sourdough. This is my first attempt at making sourdough. My starter keeps “molding” or creating a fine hard-ish layer on top. Is that normal? Is it too hot or humid maybe? Should I keep it in the oven? Or am I not feeding it or stirring it enough? No this is not normal. Are you covering it with plastic wrap? You can try putting it into the oven (turned off) with the light on and see if that works for you better. I lose lid might also work nicely. Hi, I’m on day 6 and there’s a hooch formed every day. You only mention it after the 2 weeks are up, so should I store it in or out it off at this early stage? This is the best explanation I have seen on how to make sourdough starter. I am currently on day 5 and am thrilled with my result. Thanks for going to all the trouble to make this so clear!! Glad you find this useful Linda! Do let us know how your starter turns out! Could you use kombucha instead of using orange juice? Just curious if it needs a specific acid. I’m not sure, I’ve never tried kombucha. No, it’s not ruined. Just continue on the next day and scoop out double the amount. My family has lots of health issues with what, but no problems with organic spelt. For everyone with what versus spelt questions, please check out the documentary “What’s with wheat” (currently on Netflix). It will answer a lot of questions. Sorry if this is already mentioned in the comments. This is my first time to try sourdough starter, so I’m not sure if something is wrong. On day 4, it smelled like fruit going bad, and there appeared to be a little mold growing on one side. On day five, the smell was even stronger, and it looked like a film of mold was growing all across the top, but the mold looked different from the one the day before. Is it bad, and do I need to throw it out? It sounds to me that it has gone bad. I’d scratch this starter and start again. I’m on day 12 of the starter and I’m not sure where it’s at. In the last several days I’ve noticed hooch form on the surface, so I stir it all down before I take out the 1/4 cup (to add the fresh 1/4 cup water and 1/4 cup flour). It seems like the starter bubbles and pulls the hooch into it, but then the hooch separates and is only on the surface again. Also I don’t think the starter has ever doubled in size and then flattened out. I added a 1/4 tsp of ACV last night and poured the hooch off this evening, there are some bubble but not like in your photo – so should I continue with the feeding tonight, or do you think the starter is a dud? Sounds like you have a healthy starter, you just need to feed your starter a little sooner and/or more frequently. Are you feeding it every 8 hours? Also, be sure to pour the hooch off instead of stirring it in. Thanks for such great directions and tips. I have a question about using my starter after it’s been in the fridge. I get that I need to take it out and give it a feeding and then leave it out at room temperature for 8 hours and then feed it again. So after that feeding I can bake right away with it? If it’s not bubbly, though, do I wait 8 hours before giving it that second feeding and then can bake with it right away or do I need to wait another 8 hours before baking with it? You will need to wait another 8 hours until it becomes bubbly. Once bubbly, it is ready for use. I am on day 14 and my starter has not risen. I have been feeding it 2x a day. It is bubbly and smells good, but no rise. I have been keeping it loosely covered at about 76 degrees, or a little warmer (it is warm in our house, a/c is set at at 79, but I found a slightly cooler spot for it). What do I need to do to get it more active? Could you please tell me why a portion of the starter is thrown away? I was just wondering why you just don’t add flour and water to the original amount? The spelt flour that I bought to try this is really expensive so I hate to keep throwing away. You certainly can save it and use it for Pancakes or other baked goods. Just do a quick google search for sourdough starter pancakes. I have sprouted spelt flour, will it matter to the process that it’s a sprouted flour? I am on day 10 have been feeding 2x/day, but it doesn’t seem to double in size at all. What can I do to fix this? Hello there, I’m on day 6/7 of my starter and I’m getting a lot of separation by the end of the day and today I found somewhat of a film on top with a sweet smell coming from it. It smells as if it has alcohol in it. 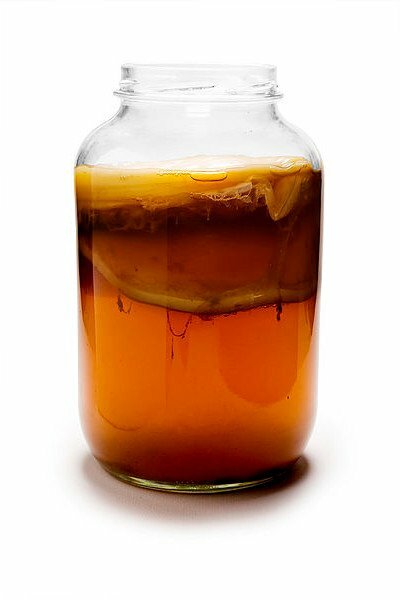 The film reminds me of the start of a SCOBY when I would make kombucha. Any thoughts? HI can i use Agave instead of for oj? I forgot to feed my starter a few times around day 6-8. I have fed it every 24hrs, but I missed the part that may need to feed more often! Oops. To feed every time it deflates. But have I actually left it too late and can it be rectified? Also what is your average room temperature? Mine has been around 32 degrees Celsius but has now dropped to 21 degree Celsius with a cold snap! I assume this will speed up and then slow down the process? I also have not notice it rise a huge amount, but there is bubbles in it. Also once I get a starter and feed weekly, what happens if I forget every now and then? Is it very forgiving? Thank you and I can’t wait to make the end product and have a long term starter. My starter us nit gettibg bubbles at all. Day 9 now, adding cider vinegar. Ugh! Help! I’m on day 13 and my starter is a little bubbly but has not grown at all. Each morning it looks watery. I can buy apple cider vinegar today. But not sure what to do – should I go ahead with it on Day 14 or do I need to get it to rise first, no matter how much longer. Should I put it by a heater? Thanks for your reply if you can let me know! When you say it looks watery, that is most likely the hootch forming. I’d put it in a bit warmer place to see if you can get the yeast to become more active. I am on day 10, with daily feedings a a 1/4 tsp of apple cider vinegar on day 6, but mine is not doubling in size it has bubbles on top, but does not rise ? must i add 1/4 tsp of vinegar again. Thank you for this! I started to make this today and am looking forward to making the bread with your recipe. Can you comment on your reason for using orange juice rather than just water. The point of using orange juice during the initial steps is to raise the acidity, which kills off most of the microorganisms in the flour, ensuring that only the desired lactic acid bacteria and yeasts survive. These are the microorganisms that will perform the fermentation of your dough later on (which also keeps the starter sour, which is why you don’t keep adding juice). If you leave it in only water it’ll probably develop mold and become unusable. Help! I am on my third attempt to make the spelt starter. I am pretty good around the kitchen and have done a starter in the past with wheat flour but spelt flour is not working the same way. During the first two attempts when I get to day 4 and beyond, the starter stalls. There aren’t a whole lot of bubbles and what I see are just tiny bubbles. When I switched to water on day 4, the whole process stops working and all I get is a slurry that doesn’t ferment and forms hooch at the top. Should I stick to orange juice throughout the process? It seems to get the bubbles going. Because the temperature doesn’t get warm in my house, I am using a heating pad (lowest setting) and add enough layers so that the starter temperature is around 80 degrees. I started the 3rd attempt but am afraid that is going to help just like the first two attempts. Any guidance will be appreciated. Does the starter have to be made with orange juice or can just water be used? Hi! Please help me understand the storing process. Once I’ve completed my starter to the point of making bread, then I’m able to store the rest of the starter in the fridge and feed it weekly. You say, “After 2 weeks of storing and feeding your starter at room temperature, you will need to now store your sourdough starter in the refrigerator. At this point, you can feed it once a week by using the same method. At the top of the starter will be a liquid called the “hooch” and that is normal. Simply pour the hooch off and discard it and measure out your 1/4 cup starter and add to it 1/4 cup water and 1/4 cup flour. Mix together and store back in the refrigerator.” If I’m feeding it and using it, why does it need to be discarded? Why not just pour off the hooch, then feed what is left? I have never made sourdough before, so I’m just trying to wrap my mind around this. Thank you! Hi there, I am on day 6 of the starter making and it is going really well so thank you! I just wondered – I have used white spelt for the starter so far but do you think it would be okay to finish the starter with wholemeal? or should I stick with white? I need to make a starter that will do 8 loaves of bread at a time. How should I modify this recipe?